I-lovegreece.com, a large Athens-Based portal wanted to raise awareness of its sub-category (Athens) Fan Page on Facebook. They trusted intros.gr for the design and development of a Facebook Application. The idea was to create a simple, inspired, user-oriented FB application, matching the needs of the client, the goal of the project and the specified target group. A simple, multi-question multiple choice competition, hosted within i-love-athens Fan Page, was decided. The goal was to increase awareness and traffic to both fan page and website via its specific targeted questions which campain had, about Athens. The participation was limited to one per user. In order to increase the traffic and publicity, the application asked users to share with their friends the message of successful participation sent by i-love-athens, and to invite them to participate as well. This Facebook application helped our client spread their message virally. 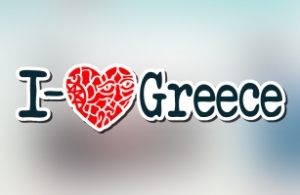 Users had their activities published to their news feeds so their friends could see that I-lovegreece.com opens Athens section. It is quite clear that competitions or facebook applications increase the spreadability of the fan page in Facebook and website as well. Through such competitions, companies can increase the target of potential customers and potential sales. In intros.gr we believe that neither the desing and development, nor the cost of such applications in Facebook should be an obsacle to company's growth. We have the knowledge, the experience and the technology to implement any idea, as difficult as it may seem. So, do not hesitate to contact us for the implementation of your idea. We are here to help you! !